-Go to the painting of the women with a bag on her head halfway up the stairs to 2nd floor and hit the painting with a L2 attack with the axe. From there you can go upstairs, through the attic, and there should be a very bloody door waiting for you. You can now open it. Then you can go outside, up the ladder, and use the attic window key to escape that hellhole of a house. Congratulations! 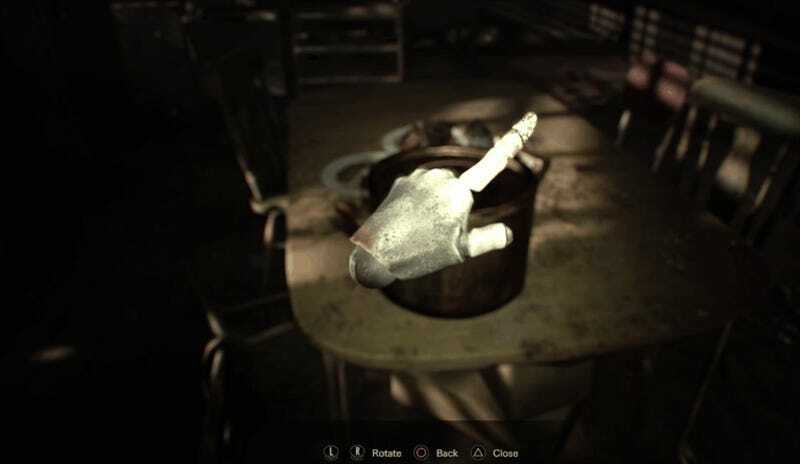 You beat the Resident Evil 7 demo. 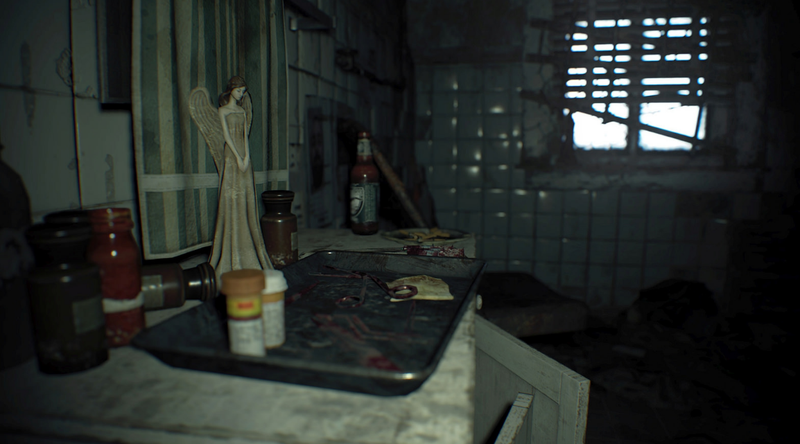 No word yet on what, exactly, this dirty coin will actually do in Resident Evil 7, but it better be good after all of this! You can download the Resident Evil 7 demo for free on the PS4.